TAICHUNG. The XXVI 18U Baseball World Cup in Taichung commences on Friday, August 30 with the first six games of the first round. 12 teams are competing for the world title, which was captured by the United States in 2012. The tournament is considered as to be one of the most competitive in 18U Baseball World Cup history. Record title holder Cuba and fellow Americas powerhouse Mexico join the returning teams from 2012 Australia, Canada, Chinese Taipei, Colombia, Czech Republic, Italy, Japan, Korea, Venezuela and the US. 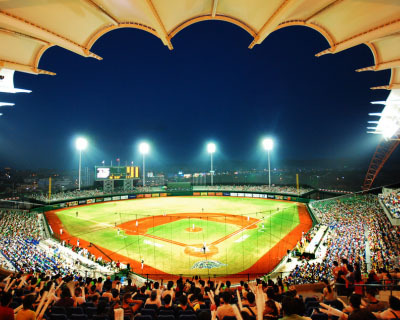 Games will be played at Intercontinental Stadium, Taichung City Stadium and Dou-Liou Stadium. Intercontinental Stadium has hosted five major international tournaments in the past two years, including one of the first-round pools at the 2013 World Baseball Classic this March. Nearly 100 scouts from professional leagues in the United States, Japan, Korea and Chinese Taipei have announced their presence to search for the next line of prospects like Shohei Otani, Shintaro Fujinami (both Japan), Europe’s current top prospect Marten Gasparini (Italy), Jesse Hodges (Canada), Reese McGuire and 2012 18U BWC MVP Christian Arroyo (both USA). Some of last year’s 18U stars are back for a second run including Bryson Brigman (USA), Cal Quantrill, Gareth Morgan (both Canada) and Tomoya Mori (Japan). One of the players who could celebrate his breakout on the international stage is Nigeria born 16-year-old Demi Orimoloye who made the cut for the Canadian team and is considered a five-tool player. The first game day on Friday features two games at 9am between Venezuela and Czech Republic as well as a first highlight between Japan and Canada. In the afternoon Italy clashes with Korea, Australia with Cuba and Colombia with defending champion United States. After the official opening ceremony at Intercontinental Stadium at 6.10pm host Chinese Taipei faces Mexico. Complete schedule at live scoring is available HERE.